You are here: Home / News / Volunteers Needed for Merry Christmas Baby! 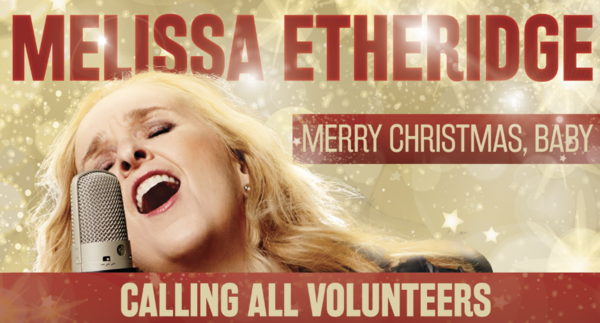 Have you ever wanted to work with Melissa Etheridge? NOW IS YOUR CHANCE! 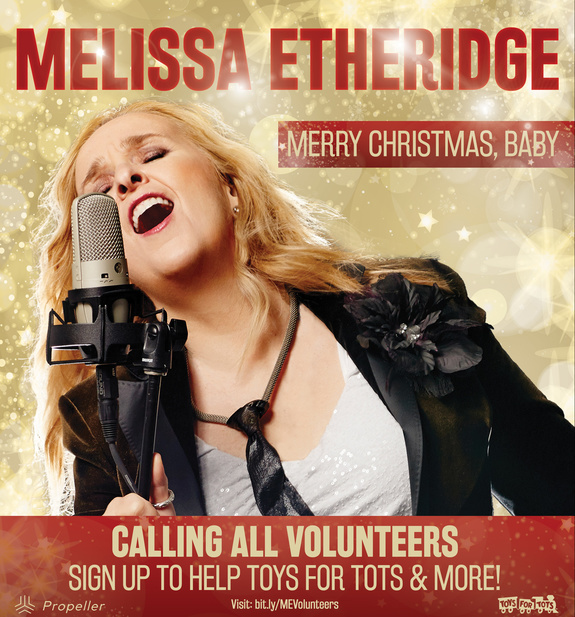 Sign up for your chance to volunteer & get involved with Toys For Tots along with a few great charities during her upcoming Merry Christmas, Baby tour. If selected, you'll receive a free ticket to the show, a chance to watch 3 songs from the front row photo pit & other great perks! Volunteers will be responsible for arriving prior to the show and collecting signatures & generate actions with fellow concert-goers. You'll be able to watch Melissa's entire set as well. All you need to do in order to sign up is fill out a simple application form for the date desired! We can't wait to see you on the road this holiday season, it's going to be FUN!